It may be hard to believe, but not all of my cats have been torties. The first 15 years of my life were spent with a handsome tabby named Patch, so I know how special these cats are. Just like with tortoiseshell cats, tabbies are not a breed but a coat pattern. There are four tabby coat patterns: classic, mackerel, spotted, and ticked. Unique to all tabbies is the distinctive “M” on their forehead. One legend states that Baby Jesus wouldn’t stop crying until a cat climbed into the manger and started to purr, sending him off to sleep. And in gratitude, the Virgin Mary marked the cat’s face with the first letter of her name. Tabbies have long been pop culture favorites. Two of the most famous cats in the world are tabbies: Morris and Garfield! Many major pet brands use both grey and orange tabbies in their brand advertising. Friskies has an Orange tabby and so does Meow Mix, Arm and Hammer cat litter and Fresh Step. 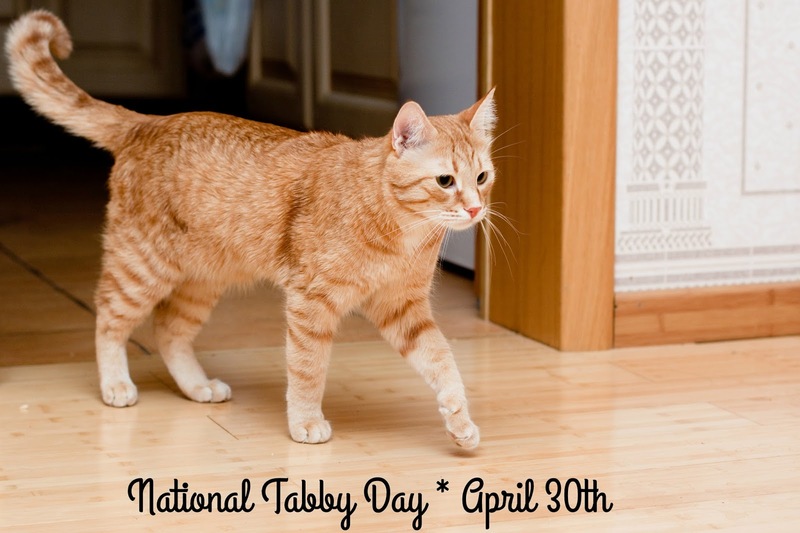 To celebrate tabbies the very first National Tabby Day will be taking place on April 30th. Festivities kick off at one of NYC’s most reputable shelters, Bideawee, with adoptions will running from 10 am – 6 pm and a special celebration from 12-2 p.m. Anyone adopting from the shelter on the 30th will be given a generous starter kit with items for their new pet from the event’s sponsors. 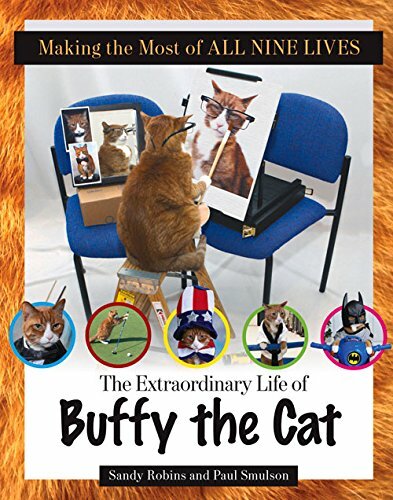 The celebration will feature the official book launch of Making the Most of All Nine Lives: The Extraordinary Life of Buffy the Cat, who is the spokescat of National Tabby Day. Born into the body of an orange tabby, Buffy has experienced life in a way most humans never do. 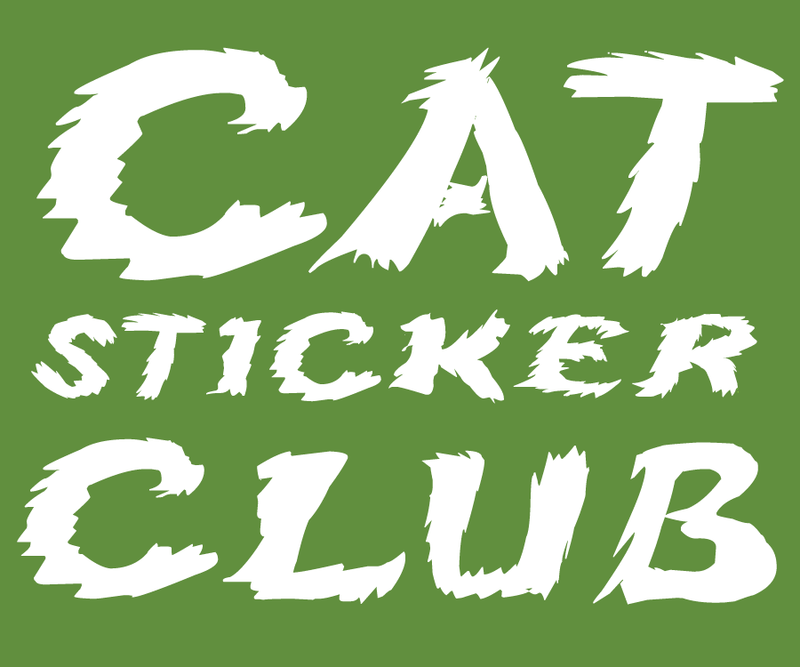 Making the Most of All Nine Lives documents Buffy as he hits the golf course, votes, gasses up the car and hits the road, builds a snowman, and a wide variety of many other human situations. 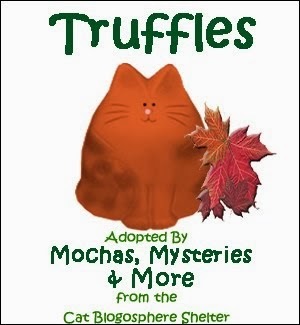 This is without a doubt one of the most adorable cat books I've ever had the pleasure of reading. Between the photography by Buffy's dad Paul Smulson (completely without digital manipulation) and the "catlish" provided by pet lifestyle expert Sandy Robins, this is a book sure to make cat lovers everywhere purr with delight. The cuteness is off the charts. The hashtag for this special event is #NationalTabbyDay. Let's get it trending! Have you ever been owned by a tabby? Yay, a day for me and Crockett!! 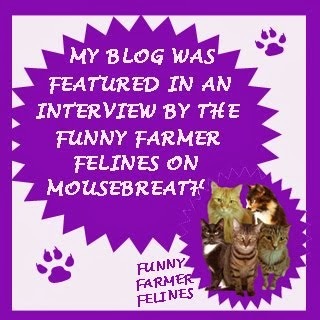 Raz will be celebrating on our blog and at the Tabby Cat Club! Oh! Yay! 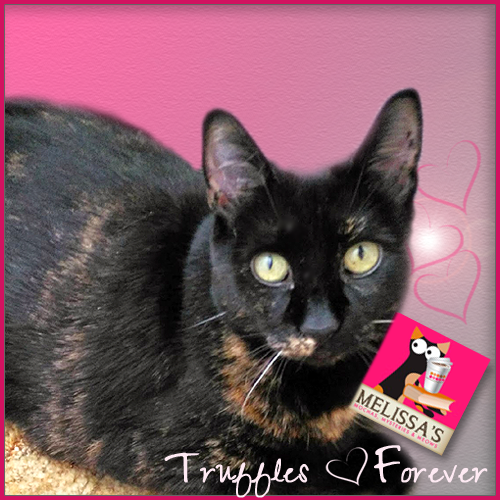 We'll be celebrating this one and include all of our angel tabbies, too!! Lucy will be celebrating being a tabby too. We are owned by lots of tabbies, so we sure will take part in this. Tabbies are great cats. We have 4 tabbies at our house. Love them. I somehow had no idea about National Tabby Day. All three of my feline furbabies are tabbies, so I am, needless to say, very excited! 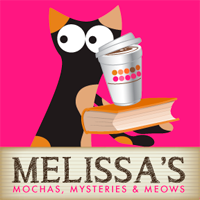 Thank you so much for bringing this to my attention, Melissa and Mudpie! Purrs! The book sounds awesome. Yes, I've been owned by tabbies. That book sounds cute. My first cat, KaChoo was a tabby and Stinky was considered a tabby because of her face and tale markings. I also have Prancie and KaTwo. I love tabbies! What a wonderful day! I consider my Dexter a tabby, even though he is half white. This is fabulous! 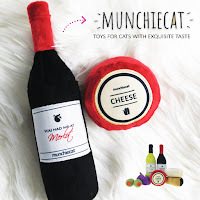 My 'infamous' tabbies Mr Jinx & Ping will love it. Thank you for your wonderful review of our book -- Buffy's appurreciates it! What a great idea for a day of celebration! I have a tabby tail! Both Chizzy and Nicky were tabbies. Pop volunteered at Bideawee in December.